Dr. Andy Taylor is a Consultant Doctor with a special interest in facial rejuvenation. 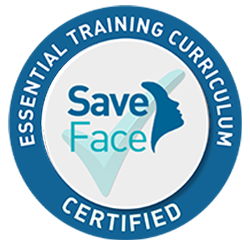 He is a qualified Level 7 Practitioner (L7Cert) in Injectables for Aesthetic Medicine through Harley Academy and is currently undertaking a two-year academic postgraduate programme at the Queen Mary University in Medical Aesthetics (PGCert7 & MSc). He also has a post-graduate degree in Human Anatomy & Cell Biology (BSc) and graduated in 2016 as a University Master of Superficial Anatomy in Aesthetics. He is fully insured to practice aesthetic medicine through Hamilton Fraser. I recently had a derma planing treatment and Botox with the Rejuvenate Face Clinic, and I am so happy with the results. My skin looks and feels amazing it’s so flawless never had a treatment work so well before highly recommend this treatment. Dr Andy and Tessa Taylor were extremely professional and talked me through the whole process, this is the 3rd using this clinic for treatments and I haven’t been disappointed. I experience excellent treatment and service every time. Thank you so much Rejuvenate Face! Both myself and my son have received various treatments and procedures with Dr Andy and his wife Tessa Taylor and have been 100% satisfied from consultation to procedures and to aftercare and are totally thrilled with the results. I would recommend this clinic over any others I’ve been to. Had some lip fillers . Was always worried about having this done until now. Really pleased. Lots of comments from friends that I looked great but they didn’t know what I had done. It was subtle but effective. Would highly recommend this clinic without doubt. Fantastic natural look & long lasting / I wouldn’t consider going anywhere else now. Very friendly and conscientious people with the aim to provide a very high personal service. Put me at ease right from the start, so professional and I am so pleased with the results from the treatments I have had. They sell fantanstic products to. Very professional, explained everything clearly and was happy to answer questions. I was given time to decide on what treatment I wanted. Please find below a full price list for the treatments we offer at Rejuvenate Face Clinics. All our injectable treatments are carried out by Dr Taylor following a full consultation and 'cooling off' period. Prices will be confirmed following a free consultation. We offer a variety of Dermal Fillers depending on the areas needed and suitability of each patient. The price varies according to the site and volume required. 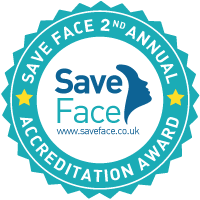 Rejuvenate Face is a registered clinic with Skinmed and Cryosthetics.